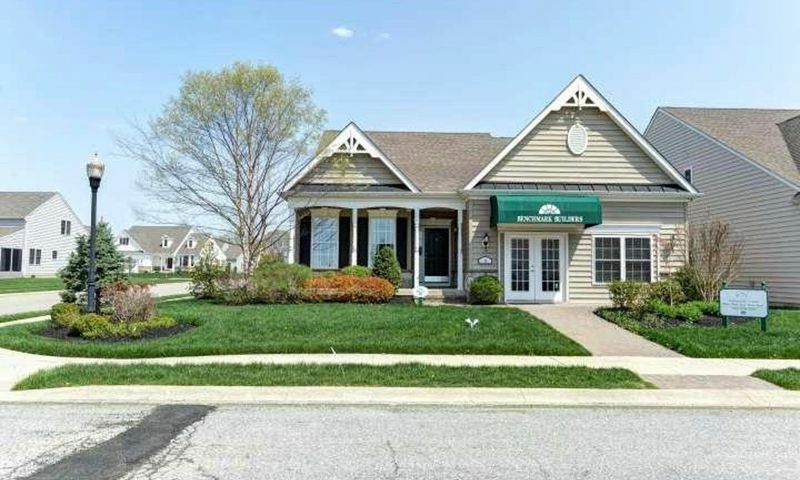 Village of Eastridge is a new 55+ community located in Smyrna, Delaware. With only 189 single-family homes planned, active adults will enjoy a quiet, close-knit neighborhood setting. Benchmark Builders will provide quality construction and energy-efficient designs that are perfect for active adults. Homebuyers will also have plenty of options for personalization to create their perfect dream home. Along with great floor plans, residents will have access to a charming clubhouse with amenities to keep them entertained throughout the year. Ideally situated in Kent County, Village of Eastridge is a short distance from Dover and Middletown. Homeowners will also have easy access to everyday conveniences and entertainment options just a few minutes away. The focal point of fun and socialization will be at the proposed clubhouse. The 3,300 square-foot clubhouse has social spaces where residents can mingle and host gatherings. Homeowners are able to stay in shape in the exercise room. Other indoor amenities will include a card room and catering kitchen that's perfect for parties and events. Outdoor amenities will keep residents physically fit as well. They can challenge neighbors at the bocce ball courts, shuffleboard courts, and horseshoe pits. Beautiful walking and biking trails surround the community so homeowners can enjoy evening strolls. Benchmark Builders began construction of the Village of Eastridge in 2014. The community will have 189 single-family homes upon completion. Homebuyers can choose from seven distinct floor plans in Village of Eastridge. These single-family homes range in size from 1,350 to 1,950 square feet. They have two or three bedrooms, two or three bathrooms, and an attached two-car garage. Each home can be customized with an optional second floor to include additional bedrooms, bathrooms, and loft space. Some other features include vaulted ceilings in the great room, hardwood entries and energy-efficient construction. Residents are sure to have an active and social lifestyle while living in the Village of Eastridge. Homeowners can hang out at the clubhouse, challenge neighbors to a game of shuffleboard or horseshoes, or play a friendly card game. As the community continues to grow and new residents move in, homeowners will have more possibilities to start clubs and groups, or plan community events with neighbors. Village of Eastridge is conveniently located in Smyrna, DE, which is midway between Dover and Middletown. Residents have plenty of shopping and dining options nearby such as Target, Kohl's, Sam's Club, Rodney Village Shopping Center, and Dover Mall. There are also great medical centers and hospitals in Dover. Golfers can practice their swing at the Garrisons Lake Golf Club that's only six minutes away. For big-city attractions, residents can visit Baltimore or if they need to board a flight, Baltimore - Washington International Airport can be reached in about an hour-and-a-half. Village of Eastridge is a beautiful 55+ community that has plenty to offer active adults in Smyrna, Delaware. Clubhouse - 3,300 Sq. Ft. Check back soon for more information on the lifestyle in Village of Eastridge. Homebuyers can choose from seven distinct floor plans in Village of Eastridge. These single-family homes range in size from 1,350 to 1,950 square feet. They have two or three bedrooms, two or three bathrooms, and an attached two-car garage. Each home can be customized with an optional second floor to include additional bedrooms, bathrooms, and loft space. Some other features include vaulted ceilings in the great room, hardwood entry floor, and energy-efficient construction. I love the small community feel!. The residents are very friendly and helpful to new home owners. Very close to all the stores on Rt13. The floor plans are very nice and spacious. The quality of the building materials is very good and worth your money. I look forward to more activities to be held at the clubhouse as more residents move in. The clubhouse will make a nice networking meeting place to share information. I just love this place after living in NYC most of my life. 55places.com is not affiliated with the developer(s) or homeowners association of Village of Eastridge. The information you submit is distributed to a 55places.com Partner Agent, who is a licensed real estate agent. The information regarding Village of Eastridge has not been verified or approved by the developer or homeowners association. Please verify all information prior to purchasing. 55places.com is not responsible for any errors regarding the information displayed on this website.